Last summer, Dustin and I watched a documentary (Sustainable on Netflix) that motivated us to make a small, impactful change in the way we purchase food. The film touches on the many aspects of growing and eating real food, from the importance of sourcing local food to the rebirth of ancient grains in modern society (think: einkorn, spelt, kamut). The in-depth discussion about sourcing local food compelled us to get out of the grocery store and find a local source for produce. Up until this time, most of our produce came from Whole Foods or big grocery stores. Let me just pause for a second and say: There’s absolutely nothing wrong with this. 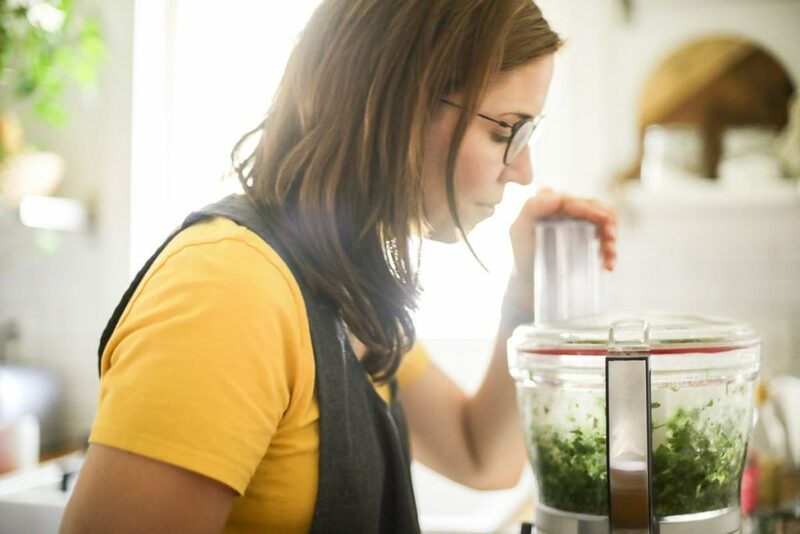 If you’re reading this post and that’s how you currently shop for produce, please don’t feel like that’s “not good enough.” The goal of this chat isn’t to make you feel overwhelmed or as though you’re not meeting some kind of food standard; rather, my goal is to share about one more way to source real food. After watching Sustainable, we both agreed that supporting local farms, in particular through Community Supported Agriculture, was a new priority for us. I already knew about a farm, Little Pond, that sold produce at the market via a CSA program. The next day, I found the farm’s contact via Google and sent an email asking for information about the CSA program. The farm replied with a cost sheet, as well details about what to expect and how the CSA works. Within a couple of weeks, we sent a check to the farm. Within a couple of months, we were picking up produce shares from the farm. 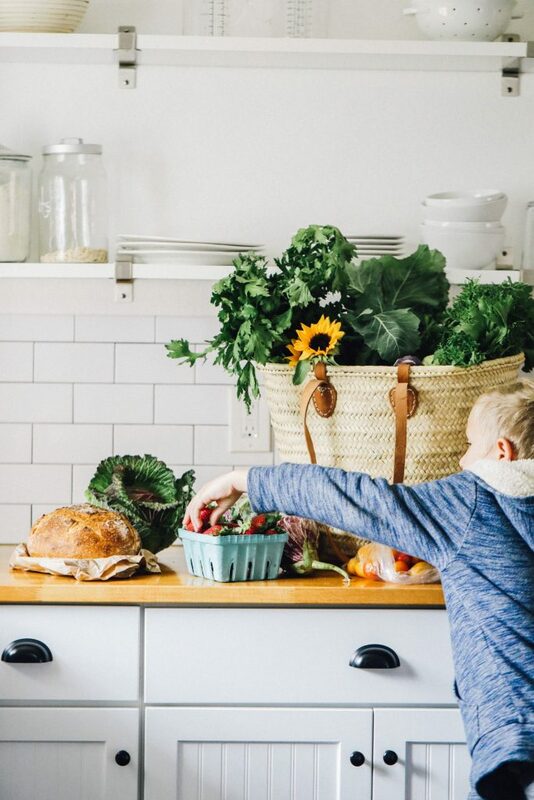 What’s the advantage of joining a CSA versus just shopping at the grocery store or going to the market? How much does it cost to be part of a CSA? Does the farm choose what produce you receive, or do you get a choice? Will you join a CSA again next year? Let’s chat about each of these questions. 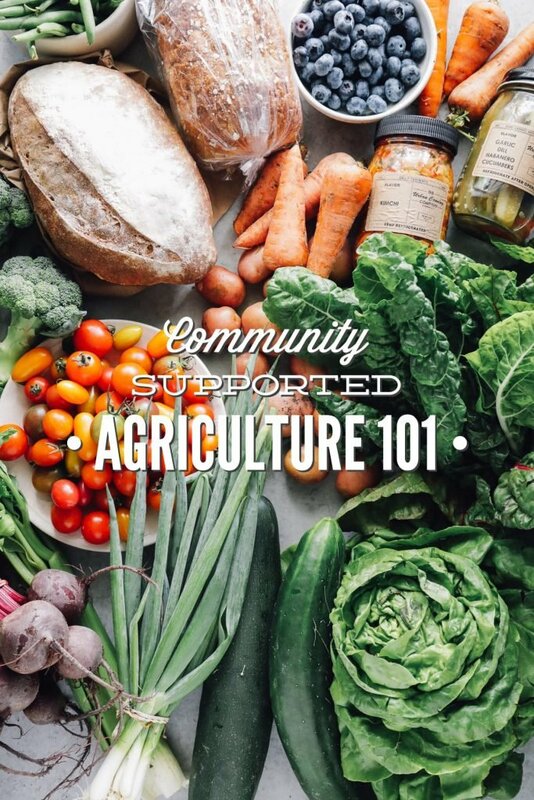 CSA is short for Community Supported/Sustained Agriculture. Crop Share is another common term for this. 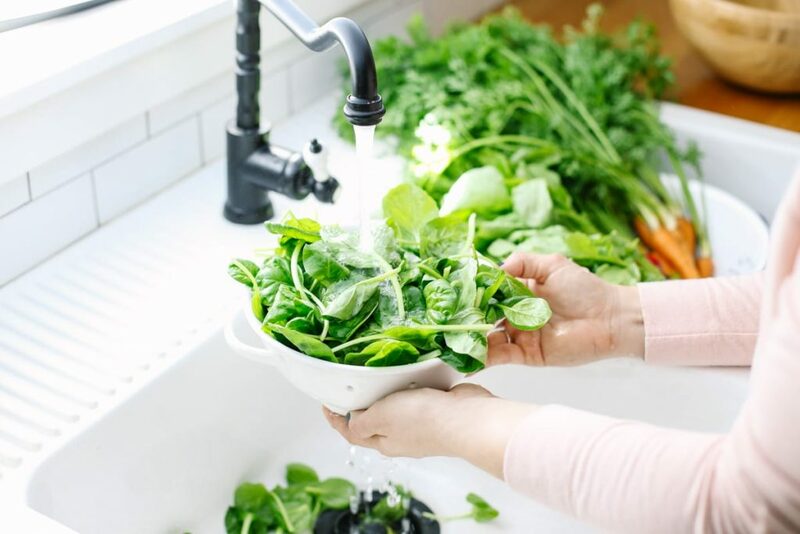 A CSA allows consumers to support local, small farms and provides these farms with the assurance (through an upfront financial commitment) that consumers are invested in their hard work and future harvest. The consumer (that’s you and me) pledges to pay a farm upfront for future harvest shares provided by the farm. The farm pledges to grow, tend to, and deliver the harvest to the customer over a certain period of time. A CSA can be strictly for produce, while others may include meat, eggs, milk, and even cheese. Of course, this depends on what the farm grows or raises, or if the farm partners with another farm in the area (think: a veggie farm partners with a dairy farm). I’ll admit, when I first wrote the check to cover eight month’s worth of produce I was intimidated. Financially committing to that much produce (that was our CSA program, every program differs) was a new experience for me. After two months of harvest boxes, I fell in love with being part of a CSA and realized the many advantages of purchasing food this way. First, joining a CSA provides the local farm with upfront finances to begin a growing season. Farming isn’t cheap. I learned that from having a backyard garden. You need tools to garden. And when your garden is big enough to feed hundreds of people (or more) each week, you need some major tools, seeds, seedlings, labor, and more to get the job done. Paying a farm upfront for the future harvest, via a CSA, provides the farm with assurance that they can financially sustain themselves. Along with supporting a local farm financially, a CSA is a way of supporting the local community. Second, joining a CSA provides the customer with the freshest, most seasonal food. By joining a CSA, you’ll be enjoying food that’s essentially grown in your backyard. Talk about fresh! Third, a CSA is the best way to get out of a food-buying rut, particularly when it comes to produce. Joining a CSA has challenged me to find creative ways to prepare and enjoy new veggies. After all, I don’t want to waste my money or disrespect the farm’s time and effort. Thanks to our produce CSA, I’ve fallen in love with veggies that I would have passed up if the shopping was up to me. If I don’t know how to use something (like kholrabi), I can always find helpful tips and recipe suggestions from the farm and Google. Fourth, a CSA actually simplifies my life. On CSA weeks, I pick up my share from the CSA pick up location, and then come home and Instacart the rest of my groceries. The farm picks the produce; I just have to show up and pick up the harvest. I love not having to think about what veggies I need to purchase from the store that week. The produce CSA we joined consists of a 34-week growing season. For a full share (weekly harvest) the cost is $1,190. And for a half share (every other week harvest, 17-week share) the cost is $595. I know, that’s a lot. But let’s breakdown the cost per share. The total cost per produce share/box is $35. 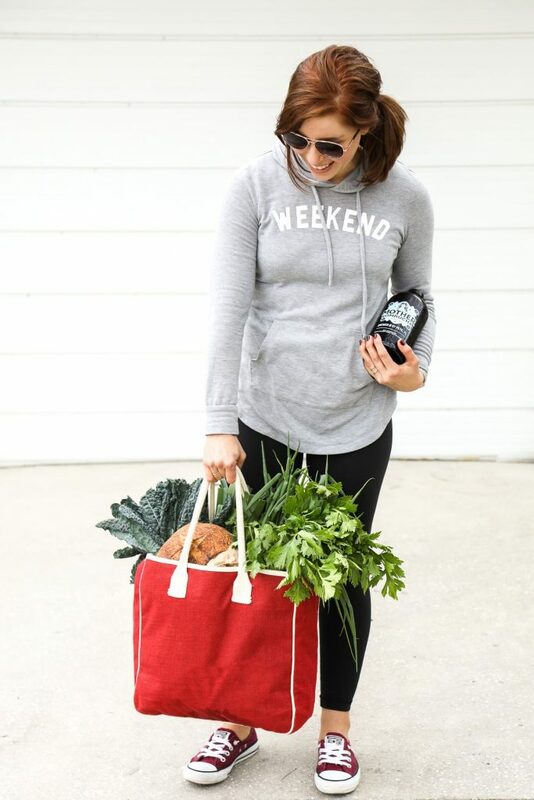 That’s $35 for 2-3 full bags of organic, locally-grown, seasonal produce. This is just an example since every CSA is different. Most CSA programs are incredibly affordable when the actual cost per share is considered. Some farms require a deposit, allowing the customer to pay the rest of the money at a later time. Other farms require a one-time, full payment. Some farms allow the customer to pick the veggies and fruit (for a CSA share) before or at share pick up time. Other farms choose the produce for the customer, based on the current harvest. 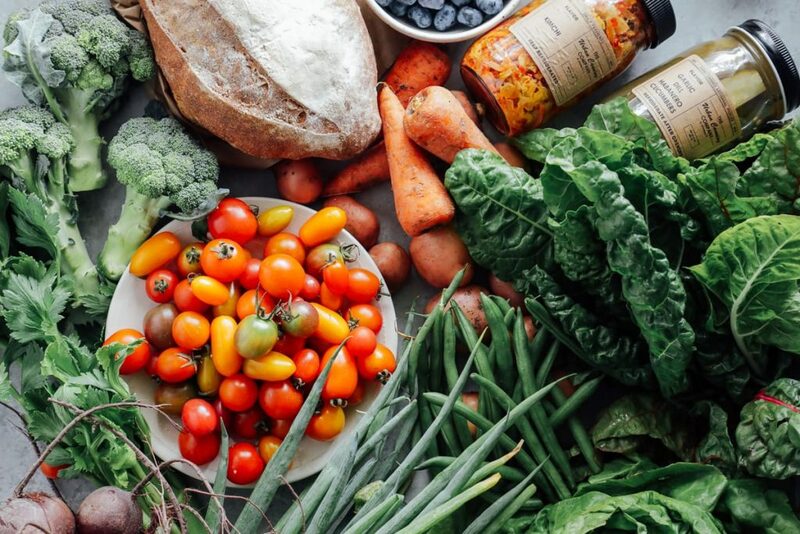 With our produce CSA, the farm picks the goodies. With our meat and egg CSA, I choose in advance (there’s a four month commitment for this CSA) what I want in my bi-monthly box: 2 dozen eggs, a whole chicken, chicken breasts (1lb), and ground beef (1lb). I absolutely love the surprise of the produce CSA. A big ol’, YES! Absoutely. No doubt about it. I will sign up for the half share again with Little Pond Farm since the pick up spot is about 25 minutes from our home (pick up is actually at the farmer’s market since the farm also sells produce at the market). On the off weeks, we usually have some leftover produce from the last share (thanks to good storage containers and super fresh produce) and we purchase any extra produce needed from the grocery store. Visit a farmer’s market. Ask around at the farm booths. Plus, a farmer’s market is a good way to acquaint yourself with the produce sold by various farms. I chose Little Pond Farm after purchasing produce from their stand for over a year. Ask a (local) health food store. Smaller health food stores or food cooperatives may know about local farms and programs. Search the Local Harvest online database. I just searched my area on Local Harvest and was shocked to find 16 CSA programs. That’s incredible. I had no idea that many CSA programs existed in my local community. You may be surprised at how many options are in your area, too. Remember, every farm and CSA program is different. So shop around. Ask about cost, what to expect (some will offer photo examples on the farm’s website), how long the growing season lasts, how often a share will be received, how long the farm has been growing/raising food, and if anything other than picking up food is expected from the customer. I just wanted to say that some farms offer work shares as well. I’m just about to start my 4th year as a work share member. I work on the farm 3 hours per week in exchange for a box of produce each week during the season. I can’t express in words how much I love it. I get to spend a few hours “earthing” with like minded community members, my kids can come and help or just enjoy playing on the farm and in return I get a large box of fresh, local produce each week. Win,win, win! That’s awesome, Mindy! Thank you so much for sharing. What a fantastic program! Perfect timing for this post! When we lived in New Jersey we loved our CSA box. It was fun to open up the box and plan dinners or try new things. I remember getting an eggplant and having to look up what in the world to do with it haha. We recently moved to Arizona and I didn’t expect to find so many choices until I just searched my area. I think I’m going to give it a try again. We just put in an order for butcherbox (have you heard any good things about that program?) so if I could find a good CSA box we’ll be covered. Thanks for the inspiration! 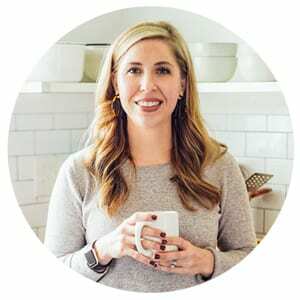 PS: I just got your ebook for meal planning, so many good ideas in there, thank you! That’s so great, Karli! I’m so glad you found a bunch of options in your area. And thank you for purchasing the book–I’m so glad you’re enjoying it. I have heard of Butcherbox. I know a lot of people love the service. I haven’t checked it out for myself yet. I would love to hear what you think. That’s awesome, Staci! Thank you so much!